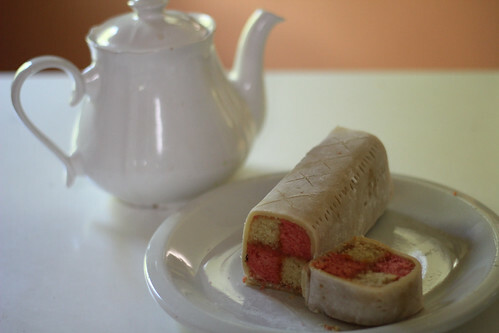 My First Battenburg, a photo by happyjoelmoss on Flickr. After getting addicted to the Jasper Fforde series of Thursday Next novels, I couldn’t help but try to make a Battenburg cake. It turned out well, and just like you’d expect with English cake, ridiculously, tooth-numbingly sweet. But it looks nice, right? !